Adding another late-in-life writer to my list of Creative Late Bloomers is always a pleasure: Charlotte Rogan, signed her first book contract for the just released novel, "The Lifeboat," a few months after her 57th birthday. Can you hear me say, "It's never too late"? But Rogan's story is particular sweet because Rogan's late-in-life success did not happen overnight. She has been practicing her craft -- in secret -- for more than 25 years, writing a total of five novels. "The Lifeboat," out this month from Little, Brown, is the first one she submitted for publication. As I have written earlier, Creative Late Bloomers come in many varieties. Not all of them are, like Grandma Moses, late starters. Not all of them are brilliant artists like Carmen Herrera who were discovered late in life by the general public. Not every late bloomer has lacked early recognition because of a heartless and clueless world. In some cases, they have needed time to hone their skills. They have needed time to do their best. Just ask Charlotte Rogan. In the garden of Creative Late Bloomers, she is a classic Plodder. Malcolm Gladwell describes this type of artist in his 2008 New Yorker article on Late Bloomers. He uses the example of Ben Fountain, comparing his writing life and habits to the plodding career of Cezanne. Karl Marlantes is another good example of the The Plodder. Marlantes took three decades and many rewrites to finally finish "Matterhorn," his bestselling Vietnam War novel. "Over the years, the book got better," he says. When he published the novel, his first, in 2010, he was 65. One year later, he published a nonfiction work, "What It Is Like To Go To War," describing the lives of veterans when they return from service. Or how about Selden Edwards, author of "The Little Book"? Edwards toiled more than three decades before landing a book contract with Dutton. Selden wrote the first draft of this novel in 1975 and then polished and refined it for 34 years before it was accepted for publication in 2007. Selden was the oldest member of a panel of first novelists that I moderated at Portland's Woodstock Festival in 2008. He told me that he was happy no one published the work earlier. When the book finally came out, he explained, the world was much more receptive to a novel that involved time travel. 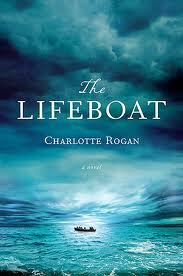 Published this month by Little, Brown, Charlotte Rogan's "The Lifeboat" has been getting rave reviews: "terrific debut novel" (The Guardian); "remarkable debut (Globe and Mail); "spellbinding and beautifully written" (Tim O'Brien). "Other novels have examined the conscience and guilt of a survivor among the dead, but few tales are as thoughtful and compelling as this," said Cristina Ianzito in the Washington Post Book World. One review noted the value of waiting so long before entering the publishing fray: "Rogan's debut may be later than many writers, and arguably al the better," wrote Michael Bywater in Britain's Independent. "She has experience of life, and of 20 years' writing without the trimming and flannel of the market to coarsen her voice." Make that 20 years plus. A mother of triplets, Rogan had been writing in secret for more than 25 years, stealing what time she could to get her stories down on paper. "Lifeboat" actually is her fourth novel. She dismissed the first three novels "as not particularly interesting, or not focused enough on plot," according to the New York Times. And her fifth novel? Rogan wrote it when she was living in Texas surrounded by people whose politics she didn't share. George W. Bush was president. Called "Security," it was the story of a group of people living behind the walls of a gated community, trying to protect themselves. Rogan never submitted it for publication. But who knows? I'm thinking the story now may have some legs. As The Plodder well knows, slow and steady wins the race.